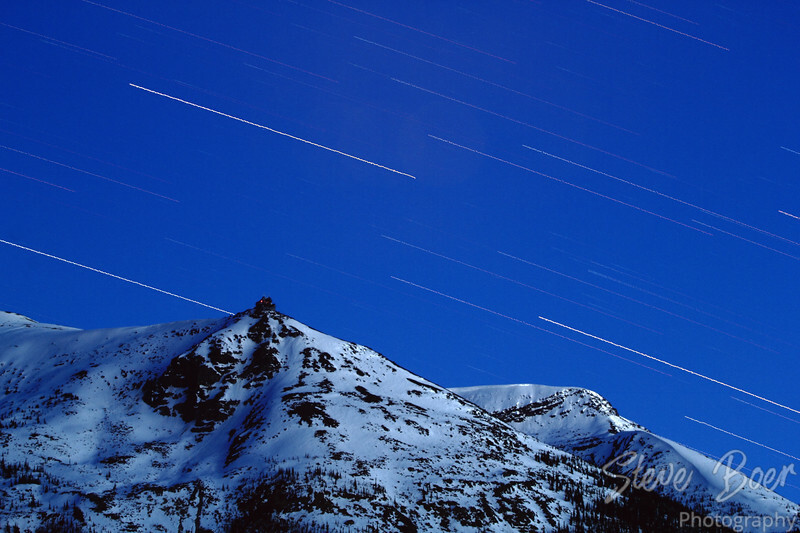 Star trails over the upper tram station in Jasper National Park Alberta. Shot at 100mm from hotel balcony in town. The trails are a little wavy because of the vibration of the old wooden building.